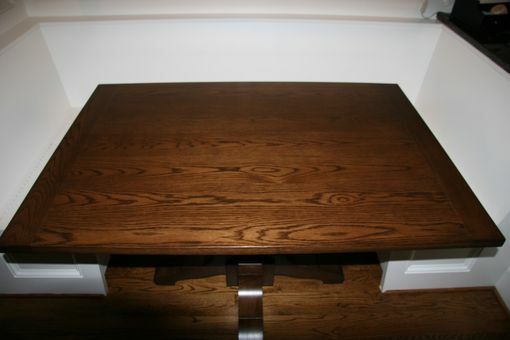 White Oak Pedestal Dining table. The table has bread board ends. The finish is stain with lacquer top coat.